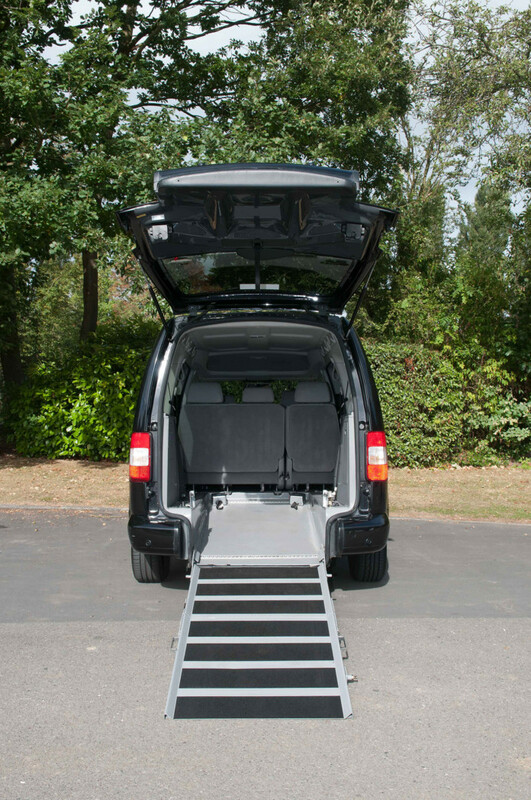 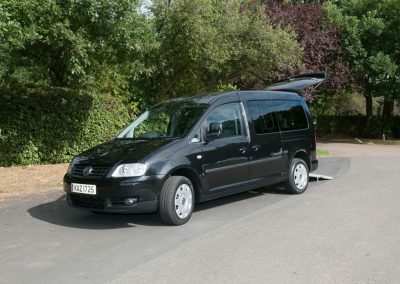 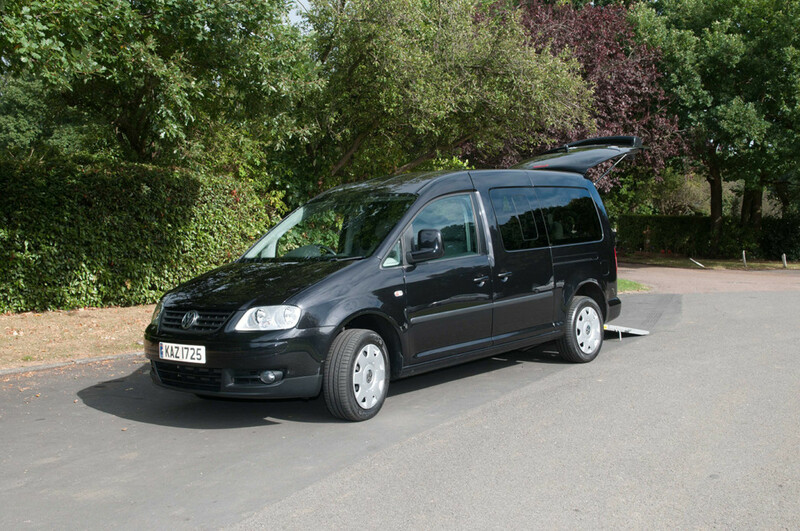 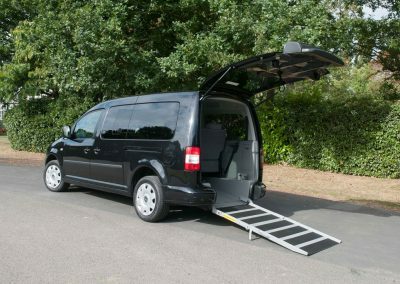 Our bespoke, black VW Caddy disability vehicle can accommodate four additional mourners alongside the wheelchair user. 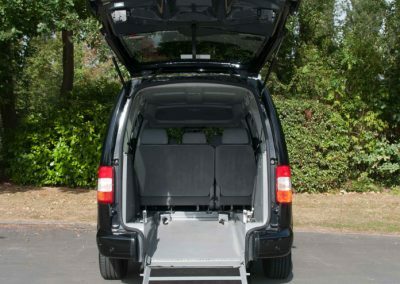 The wheelchair is ‘anchored’ to the floor by means of fitted straps. 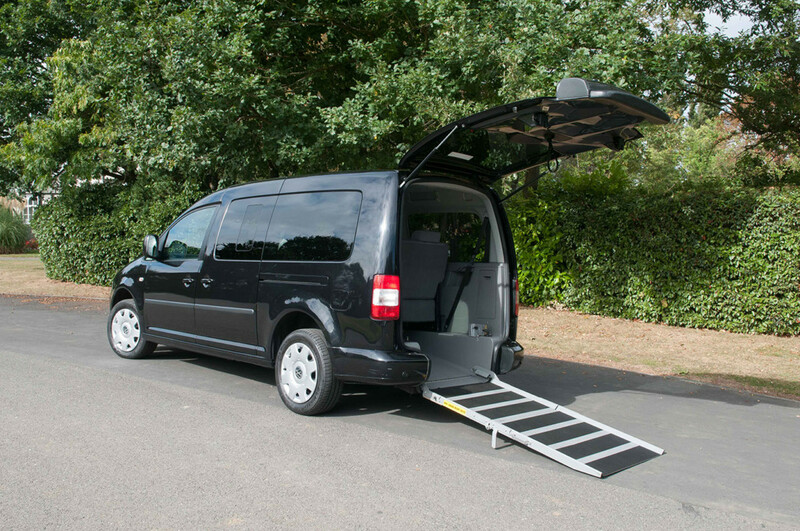 We are frequently asked to provide a wheelchair access vehicle as part of the cortege, and this smart, black vehicle is very fitting. We offer a ‘door-to-door’ service for a wheelchair user; the occupant remaining in the wheelchair at all times. 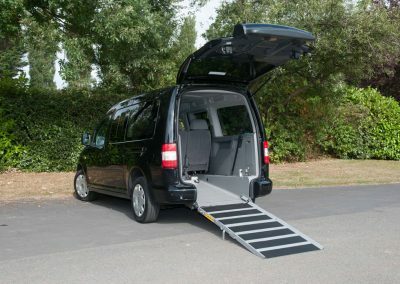 This very important addition to our fleet relieves the family of any worries regarding infirm or disabled mourners who wish to attend a funeral, but may not be physically able to access our limousines.